Hongjie Li, co-first author of the study, began studying the termite as graduate student at Zhejiang University in Hangzhou, China. 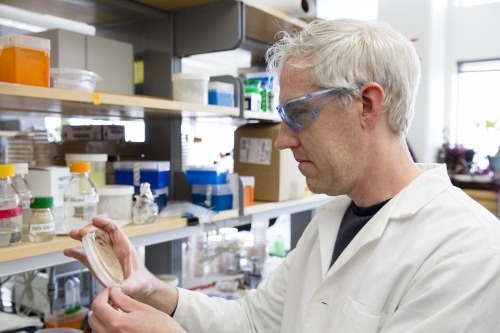 Now a postdoctoral researcher in the lab of UW–Madison bacteriology professor and GLBRC researcher Cameron Currie, Li was the first to keep this genus of termite alive in a lab setting, and the first to observe close-up the symbiotic system that unites the termites with the fungus Termitomyces. The entire process, as is often the case with social insects, is complex. Young termites, or young workers, collect and eat the wood. The termites’ fungal-laden feces then become an integral part of a fungal comb, a sponge-like structure the termites create within a protected chamber. On the comb, the fungi further degrade the wood until its simple sugars are ready, some 45 days later, to be consumed by old worker termites. 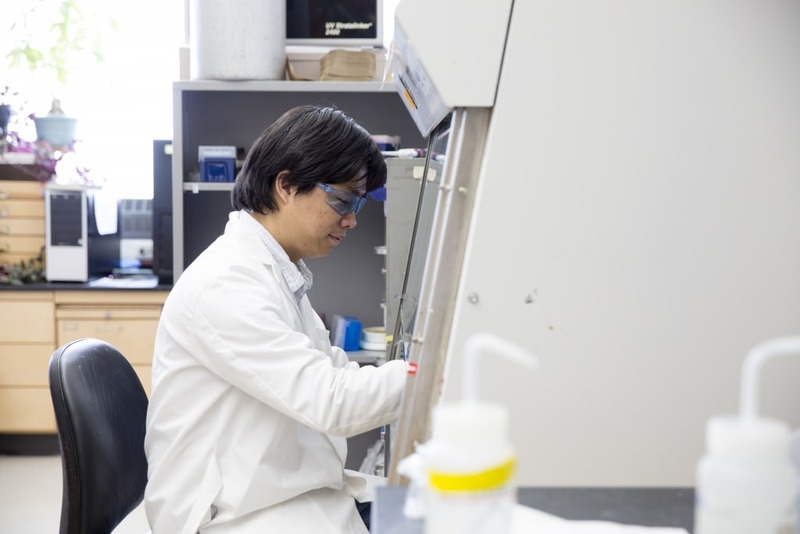 To explore those functions, Li enlisted the help of co-first author Daniel Yelle, a research forest products technologist with the U.S. Department of Agriculture’s Forest Products Laboratory, and an expert in wood-degrading fungal systems. The system may be symbiotic, but the processes involved in the gut transit — or the mechanisms by which the termite gut succeeds in cleaving even the hardest-to-cleave portions of the lignin — are still unknown. Future research will focus on determining which enzymes or bacterial systems might be at work in the gut. If that super enzyme or process can be replicated outside of the termite, it could result in a dramatic improvement in the way we process wood and make biofuels, improving economics and cutting energy use.